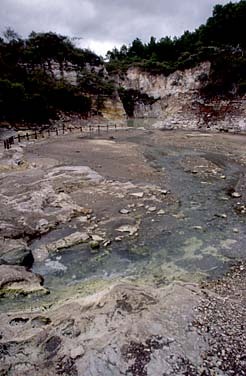 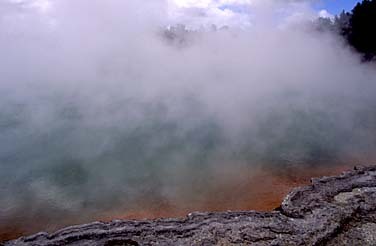 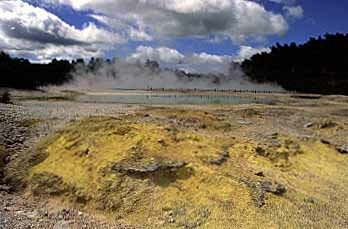 Wai-O-Tapu is another thermal reserve about 30 km south of Roturua. 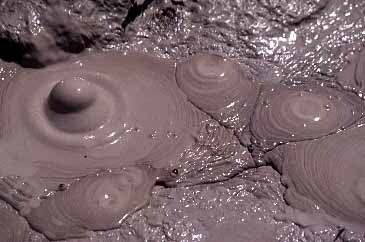 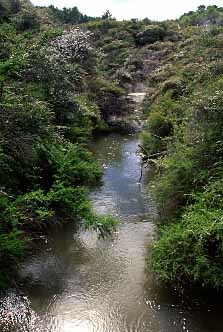 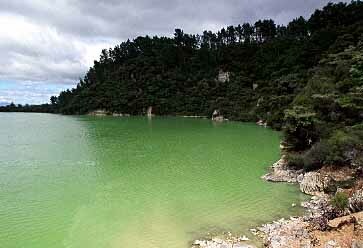 In my personal opinion it is much more interesting and beautiful than Te Whakarewarewa. 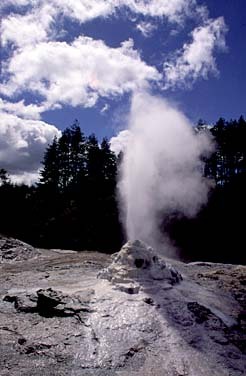 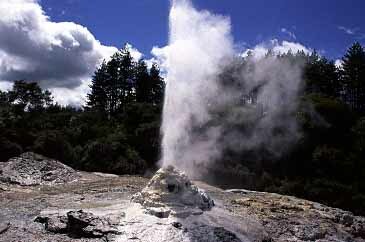 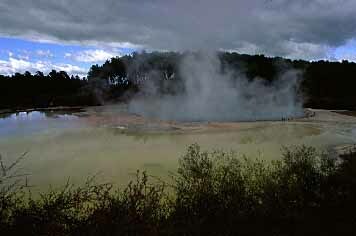 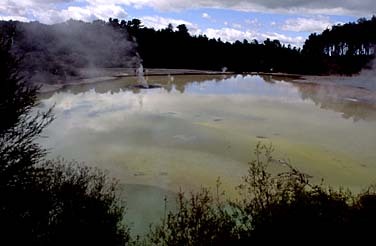 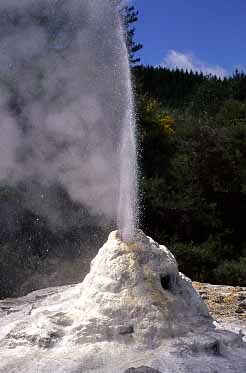 Its main attraction is Lady Knox geyser which erupts daily at 10:15 am and the show lasts for one hour only. 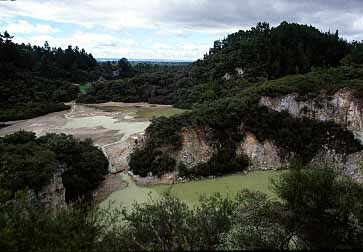 There are some nice walk within the reserve and the complete loop that takes to the famous Champagne Pool and some nice multicoloured lakes takes about 75 minutes.